Modern House on Terrain low-poly 3d model ready for Virtual Reality (VR), Augmented Reality (AR), games and other real-time apps. 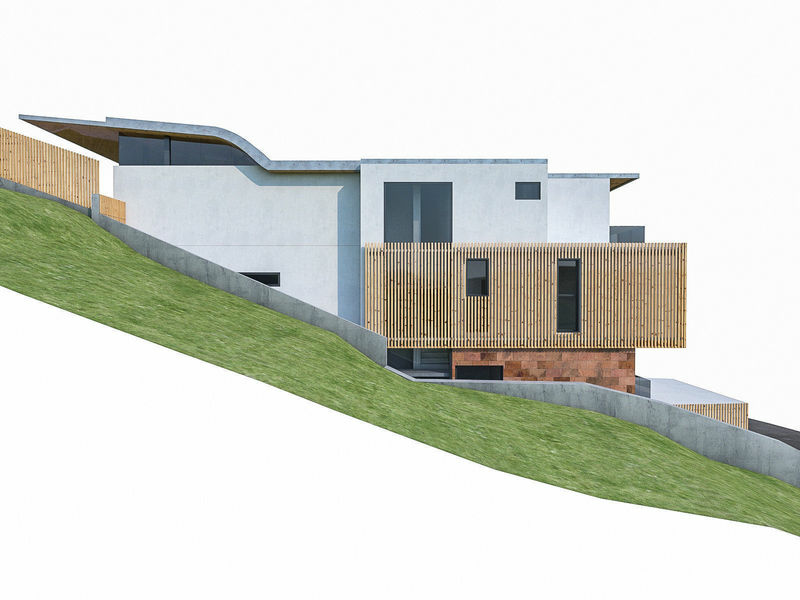 This is a real-world-size model of Modern House on terrain made by the professional architect. - Product dimensions: 40 x 15 x 15 meters - Units used: Centimeters - Originally created with 3ds Max 2011 - 46. 810 polygons - 57. 035 vertices LEVEL OF DETAIL and USAGE - This model is suitable for different purpose - real-time and game use, Unity, UE4, CGI exterior visualization and architecture GEOMETRY - The model's mesh is high quality, with clean edge flow. - Geometry is carefully tested for holes, flipped normals and overlapping polygons. - The mesh is low-poly, allows you to easily build up the additional details, edit geometry.